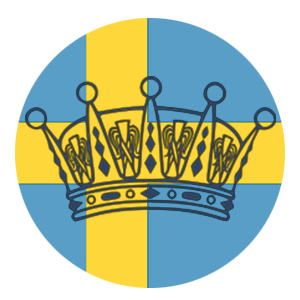 Well here it is- my promised post about my jewel predictions for the upcoming royal wedding of Sofia and Carl Philip. Now onto the rest of the family. What will Silvia wear? I am wondering about the Leuchtenberg Sapphires but that would depend on the color of her gown. Below I have posted photos from her two daughters weddings so you can see what she wore then. I doubt she will wear the Braganza/Brazilian tiara due to it's weight and stiffness. She could wear the 9 Prong again and perhaps she will but I think it will be one of the lighter tiaras. Now Victoria, I suspect she will wear the Laurel Wreath Tiara, the same tiara she wore to Madeleine's wedding in order to honor Princess Lilian and Prince Bertil. Prince Bertil was Carl Philip's godfather so even if we don't see the tiara, which was given to Victoria by Princess Lilian upon her death, I think Victoria's sash will be pinned with the diamond brooch given to her by Lilian and Bertil upon her 18th birthday. You can see both the brooch and the tiara in the photo below. Now onto Madeleine. Dearest Madeleine tends to only wear the Modern Fringe Tiara which is thought to have been a gift to Queen Silvia from the King for their 10th anniversary. She wore it for her own wedding in 2013 (much to my sadness) and I expect she will wear it once again. For Victoria's wedding she wore the Connaught Tiara but I since I have attributed that to Sofia in my head I don't think Madeleine will wear it. As for foreign royals I have done some comparisons between Victoria and Madeleine's wedding and the only royal who wore the same tiara at both weddings was Kelly of Saxe-Coburg and Gotha. She wore the stunning Turquoise tiara to both weddings and looked great (you can see a photo below). She is currently pregnant so depending upon how far a long she is we may or may not see her at Sofia and Carl Philip's wedding. What are your predictions? Leave a comment or a message on Facebook/Twitter and let me know! Note: I would like to say how much I got distracted by all the tiaras involved in this post... I kept going off on different research tangents which made it very hard to get this finished! So much respect for those bloggers who write about jewels- I don't know how you get any posts finished with all the photos, articles, tidbits to read and see!